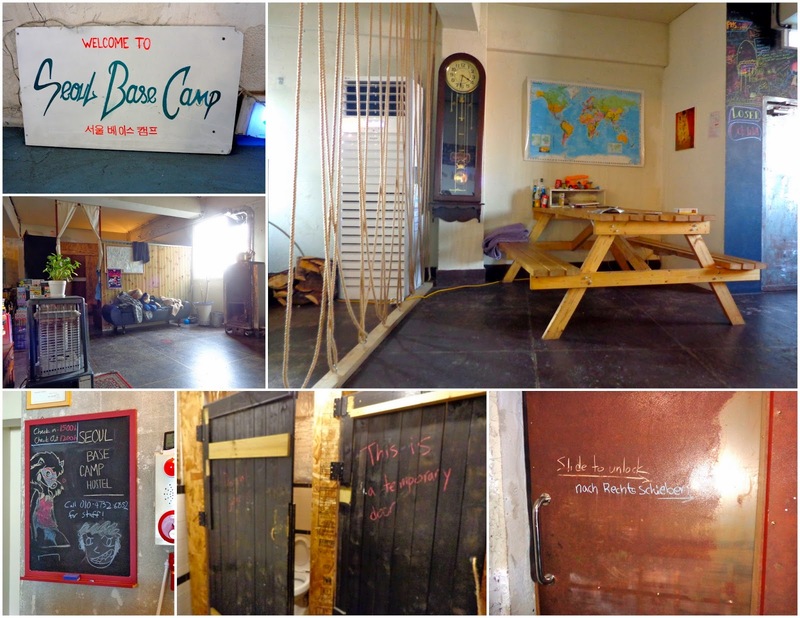 Vibe: The hostel staff are really kind and attentive. Eggs, toast, coffee, and tea were included in the breakfast. Backpackers INSIDE is near many attractions/palaces/tourist sites. Note: Some rooms are actually in a separate building, which is just a minute's walk from the main building where the front desk/kitchen/etc are. Recommended? Yes - for a dorm room stay or private room with family/friends. 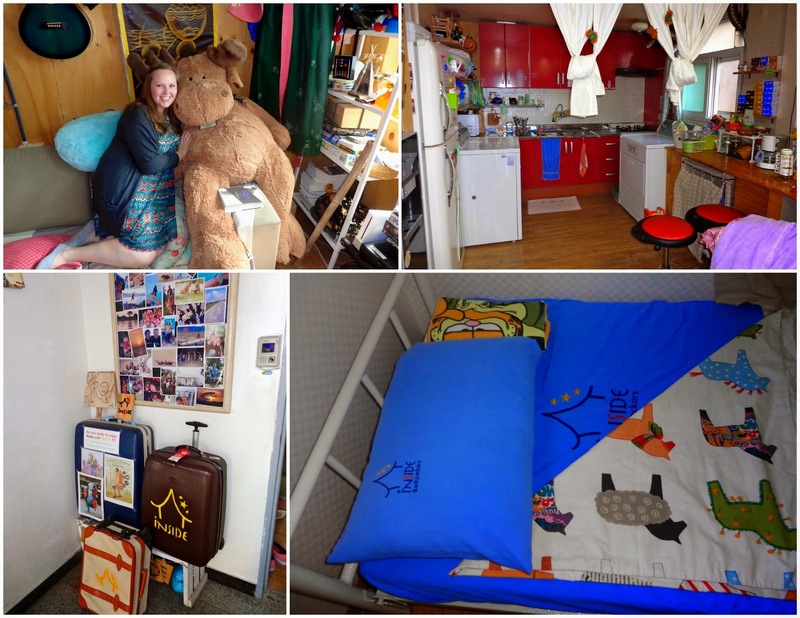 Vibe: This was the most "homey" feeling hostel I've stayed at in Korea. The owner was so incredibly kind and patient, would definitely stay here again. Vibe: Hongdae Guesthouse feels more like a hotel than a regular hostel. It was perfect for our needs, though, as three friends and I just needed somewhere to sleep near the Hongik University metro stop the night before an Adventure Korea trip. The location is very close to the metro and easy to find. We had a gorgeous view from the 15th floor, and the building has elevators so getting up there was no problem. The room was very clean and prices were reasonable. Recommended? Yes, especially if you're with a group of friends or traveling with family and aren't too concerned about meeting people at the hostel. Vibe: Since most of the hostel is composed of many small studio rooms, there wasn't much socializing between guests - though you could certainly meet people in the kitchen if you wanted to. Rooms are just as advertised online, small but it's all you really need. Great price for a night in your own room. The kitchen and bathroom were older, but completely useable and fair for the price (plus free kimchi and rice all day!). Recommended? 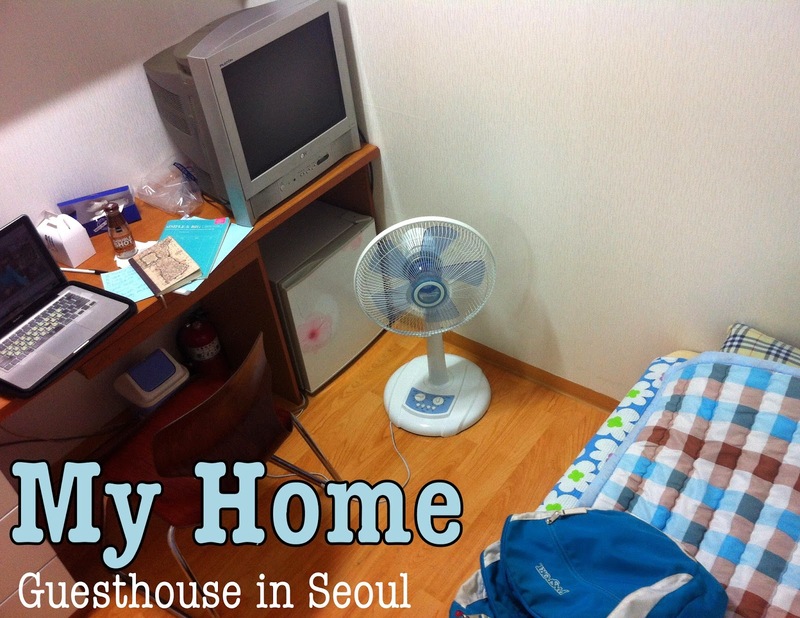 Yes - I'll definitely be back here when staying in Seoul on the weekends. Vibe: I needed to be in Seoul to catch an early morning Adventure Korea bus when I stayed at Seoul Base Camp. It certainly has a unique, relaxed atmosphere, but was completely fine for my purposes. Check out pictures and read the description before you stay, to make sure you'll mesh with the vibe. Recommended? Yes, but probably not for families or fussier guests. Vibe: The staff are really kind and helpful. They make a Korean breakfast every morning for all of the guests. The feeling was more hotel-esque, but I stayed when my boyfriend was visiting, so we were in a private room and weren't actively looking to meet others. Recommended? Yes, especially for couples or families. My grandma and sister will stay here when they visit. Vibe: It was a bit farther from the main Hongdae area - you had to leave out of the airport rail exits. The private room did not have a kitchen inside, just a bathroom. The kitchen was downstairs, and that stairway had a really low ceiling. There is a 12pm lights-out/quiet time curfew, but when we came back at 3:30am there were people up drinking in the living room, right outside of our room. Wasn't a problem for us that night due to the nature of our visit, but very well could have been. Recommended? Meh, there are better hostels in the area.